A meeting will be held within the next two weeks in an attempt to finally solve parking issues outside two of Horncastle’s schools. There have been long-standing concerns in Stanhope Road and Bowl Alley Lane, caused by people either dropping off or picking up children from the town’s Primary School and St Lawrence School. In addition, residents have complained that vehicles parked on Louth Road at the start and end of the school day are also leading to problems. Horncastle’s county councillor Bill Aron said Highways officials and the police were aware of the situation and confirmed he had arranged a site meeting. Coun Aron said: “Highways and our police are aware of this problem and they have been monitoring it. According to residents, the parking issue is particularly bad during the winter - and in poor weather. One Stanhope Road resident - who did not want to be named - said: “If it’s cold, or raining, you can rely on the fact there will be double the number of cars. “They park on both sides of the road so it’s difficult for other vehicles to pass through. “The people parking don’t care. They block drives and footpaths. The issue of parking has been discussed at several town council meetings. 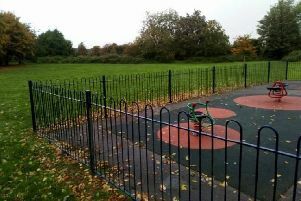 Apart from access issues, Coun David Roark said school vehicles parking all day on the Tudor Park estate were make life a nightmare for homeowners. Police and traffic enforcement officers say they regularly patrol Stanhope Road and Bowl Alley Lane at problem times.